under stress from the winter weather. It was difficult to find a meeting host under these circumstances, and attendance might be compromised. So, I decided to wait until life returns to normal. Our next meeting will be Thursday April 9, from 2:30 to 4:00. However, if we make up the postponed meeting in March, I will notify you in the next newsletter. I apologize for any inconvenience caused by this schedule change. The Comfort Inn & Suites Boston/Logan International Airport has installed a FlowMark "chemical-free" (also called "pulsed-power") water treatment system for its cooling tower and heat exchanger. The FlowMark system, installed by Conservation Solutions Corporation (CSC), has sharply cut water use and eliminated the need for hazardous chemicals to control calcium, bacteria, scale, corrosion and biofilm. "Chemical-free" water treatment systems are used to treat cooling towers, chillers, heat exchangers and evaporative condensers. They replace chemicals with an electronic field. This website describes how they work. "Chemical-free" systems have the best payback for hotels with cooling towers and chillers. The Comfort Inn's new system cost $6,300 to install and saves the hotel roughly $5,685 per year. "Chemical-free" water treatment systems have been deployed for over a decade by Coca Cola, Raytheon, Dunkin Brands and other companies. Several Florida hotels use them. "Chemical-free" systems are healthier and less risky than their chemical system counterparts. "Chemical-free" blowdown water is clean enough to be used for irrigation, fountains and, in some cases, to re-charge groundwater. By contrast, chemical system blow-down water contains hazardous biocides - chlorine, bromine and isothiazolene. It also has corrosion inhibitors, such as molybdenate, which is under a voluntary ban in Boston. These chemicals are unhealthy for the staff who handle them and the environment. Several chemical-free water treatment systems are on the market. 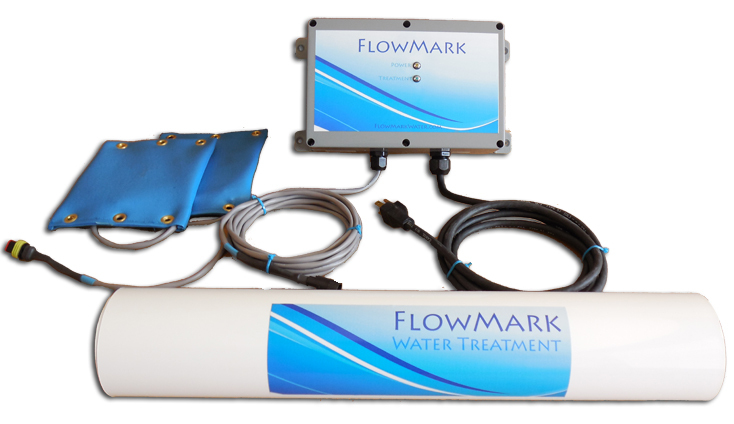 The FlowMark System is distinguished by its low entry cost, because it simply wraps around existing pipes. Scot Hopps, Director of Sustainability for Saunders Hotel Group (SHG) and interim GM for the Comfort Inn & Suites said, "We installed the FlowMark System to reduce the environmental impact of our hotels. The opportunity to eliminate hazardous chemicals and save water and energy was an excellent combination. Installing the FlowMark System was an easy decision, and we've been extremely happy with the condition of our cooling tower since it was installed." This summer, Tesla will start producing an on-site battery storage system that will enable businesses to store electricity at night and automatically release it during periods of peak demand. This technology will reduce demand charges--and cut hotel electricity bills. It will also provide backup power during outages. Currently, battery storage for hotels is mostly deployed in California, Hawaii and New York, where it is incentivized. Two factors will determine how quickly battery storage will catch on in Massachusetts: its price and whether the state will introduce an incentive. I'll keep you posted. Melink's Intelli-Hood Demand Control Kitchen Ventilation (DCKV) System was awarded the 2015 Energy Star Emerging Technology Award for its ability to significantly reduce greenhouse gas emissions. DCKV saves energy by modulating ventilation fan speed in response to temperature or optical sensors that monitor cooking activity. They replace systems that operate at maximum speed only. DCKV saves energy by running the fans at lower speeds and by reducing the volume of conditioned air that is vented out of the building. Many BGT members already have the Melink Intelli-Hood, which is installed by Air Solutions & Balancing. Some BGT hotels have a similar product, Green Energy Hoods, offered by Baker Engineering & Controls. These units were recently installed at The Langham Boston and Nine Zero Hotel. Restaurants deploy EcoThermal Filter Systems to capture the waste heat from their cook lines, and use it to preheat their water. The preheated water is stored in a tank, and used for dishwashing or other purposes. National Grid now provides a 70% subsidy towards the purchase of this equipment, making the payback one to two years. The more water used by a restaurant, the greater the savings. A presentation about the EcoThermal Filter System is in this BGT newsletter. Seaport World Trade Center, March 3-5. BuildingEnergy is the most established, cross-disciplinary high-performance building conference and trade show in the northeast. Save the date for this great annual event, organized by Eversource. "Discover energy's newest innovations and big ideas..."
Greenovate Boston Awards will recognize, "businesses, community organizations, and individuals who are helping Boston meet its climate and sustainability goals. Awards should focus on a recent project or practice that demonstrated leadership in climate action." 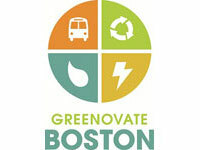 The awards will be presented at Mayor Walsh's second Greenovate Boston Community Summit in late spring. Bike Friendly Business Awards: Applications and qualifying criteria are here. I encourage you to apply for these awards. A number of Boston hotels have been honored in recent years. If you want my help with the applications, please contact me. A study published by the American Psychological Association shows that, "plants offer more than aesthetic decoration and are...an important driver of well-being, productivity and concentration." This Department of Energy web-page discusses cooling tower operation, maintenance, retrofits and replacements.